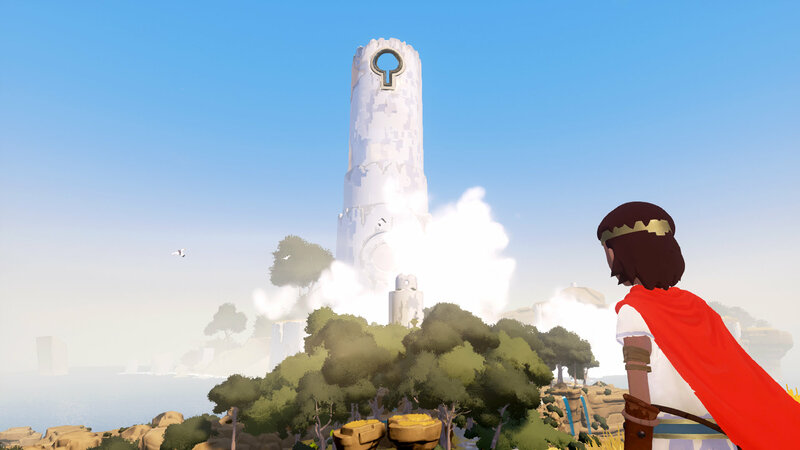 RiME has been on quite a journey since its announcement way back in 2013. Plagued by development issues, Tequila Works have nevertheless released a beautiful – if somewhat flawed – game which encompasses stunning scenery, uplifting music and a story that rivals its predecessors Journey and ABZU in both scope and subtlety. Playing as a young child, you awaken on a beach at the edge of a gorgeous, Zelda-inspired tropical island surrounded by the remnants of a shipwreck. With no idea how you arrived or how you are going to get back home you set off to explore. After your encounter your first puzzle it becomes apparent that the only tool you have to solve the island’s mysteries is your own voice. Shouting next to the blue statues scattered through the gamescape will force energy out of them which you can utilise to your advantage. Puzzles throughout the game retain the same mechanics but add different levels of difficulty or hide key items from sight to keep the gameplay interesting. Later riddles incorporate shadow, light and the ability to alter the time of day to unlock the secrets of the island, keeping this puzzler fresh and innovative. With no dialogue (an indie-puzzler trope) RiME relies heavily on its soundtrack to create a moving atmosphere. And what a soundtrack it is. RiME delivers a range of emotional piano and orchestral tones that emphasise both the sadness and uncertainty suggested by the graphics. Throughout the entire game, the sweeping score is beautifully constructed and never misses a beat. Unfortunately, this is not the case for other aspects of the game. RiME’s major weaknesses are that the story is spread unevenly throughout the game, and that there is a general lack of direction to proceedings. For example, at the opening of the game you meet a fox and a red-robed figure. Whilst both characters act as signposts for you in certain sections of the game, they are often absent for long stretches, leaving you traipsing around wondering what you’re missing, or even thinking you might have accidentally skipped an important section out. This was never the case in games such as Journey where the mountain acted as a constant beacon to follow and every backdrop seemed to add something to the overall story. With a beautiful soundtrack, stunning landscape and challenging puzzles, RiME definitely has its charms. 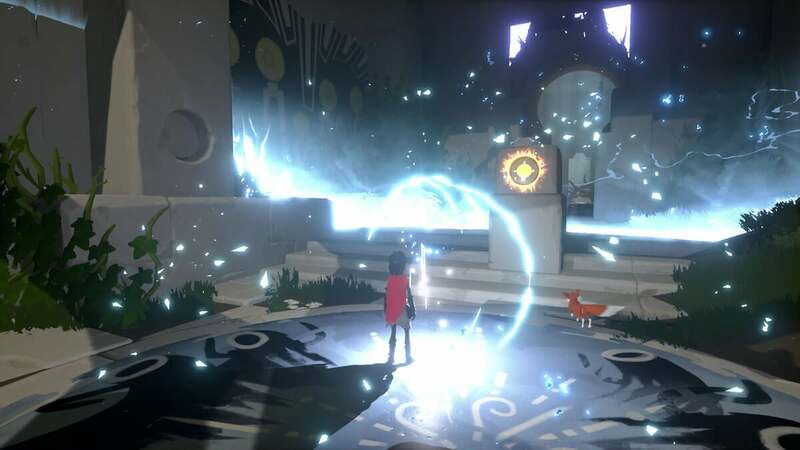 Unfortunately, there are a number of games that do what RiME does just that little bit better.